BBC Gardeners' World Live at Birmingham NEC is always a horticultural highlight but 2017's show is set to be extra special. 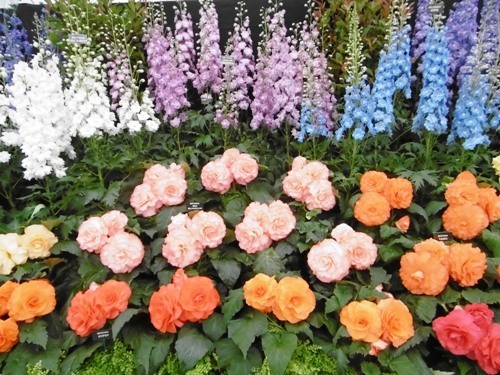 Taking place from June 15 – 18, it celebrates the 50th anniversary of television's Gardeners' World. It's going to be a Golden Jubilee summer garden party! A special Nostalgia Garden is being created by award-winning designer Paul Stone. The public will be invited to walk through a village scene typical of the period. The entrance is a humpback bridge with views down to a bubbling stream and flowering riverside plants in profusion. Spot the vintage 1967 Mini Austin (with the original 1967-released Sgt Pepper's Lonely Hearts Club Band record on the back seat) and Nuffield Tractor, constructed in Birmingham, and look out for the plants named after Gardeners' World presenters! 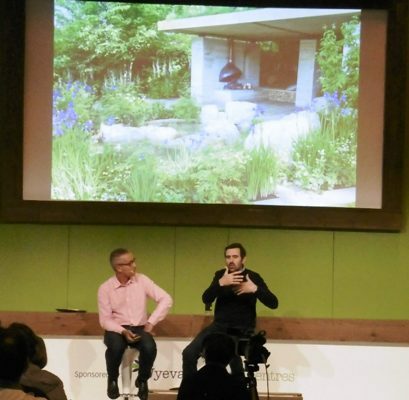 Then journey through five decades of gardening at The Anniversary Garden: A Brief History of Modern Gardens designed by Prof David Stevens and Peter Dowle. David opened the first ever BBC Gardeners' World Live with Geoff Hamilton, 25 years ago. The Anniversary Garden features sections highlighting the changing gardening trends of each of the five decades. The Beautiful Borders area of the show is also all themed around 50 years of Gardeners' World – and includes a 'Nigel the Dog' Border inspired by Monty Don's golden retriever - while Barnsdale Gardens and Birmingham City Council recreate their acclaimed exhibits from RHS Chelsea Flower Show in the BBC Gardeners' World Live Floral Marquee. More floral tributes to the anniversary include a three-tier birthday cake made of Peonies and a garden party scene of British cut flowers and table set for the Gardeners' World presenters. Loads of Gardeners' World presenters, past and present, will be giving talks and meeting visitors. 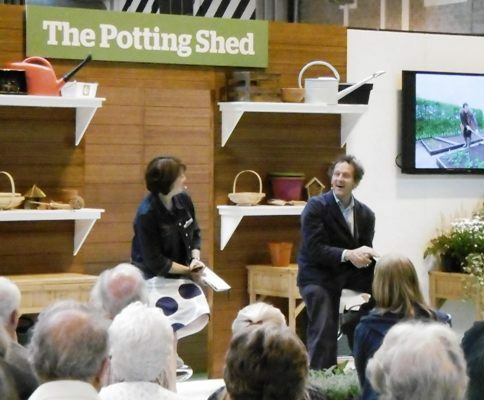 Monty Don, Carol Klein, Joe Swift, Adam Frost, Nick Bailey, Flo Headlam, Frances Tophill, Alan Titchmarsh, Toby Buckland and Peter Seabrook are all scheduled to attend. 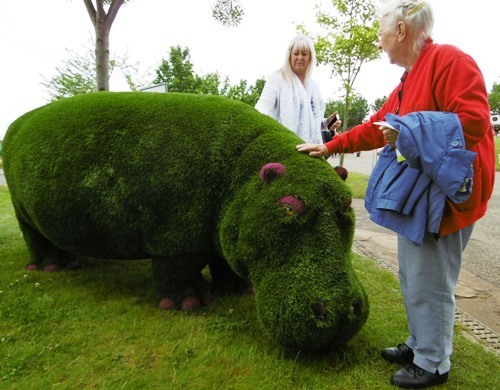 Over the past few months the TV show has been searching for the plant that viewers think has had most impact on British gardens in the past 50 years. The winning Golden Jubilee Plant will be unveiled at the show and visitors can explore a display of all ten contenders in the Changing Face of Gardening feature, which also includes a look back at the revolution in Grow Your Own, the emergence of container gardening and the changing attitudes towards wildlife. Topping off the anniversary antics the show will be packed with entertainment, including live music, a vintage tea tent, spiced beetroot birthday cake created exclusively by Nadiya Hussain, and family fun including face painting, making bird feeders, creating Father's Day cards and craft sessions, picnics, street food, Pimm's and fizz! 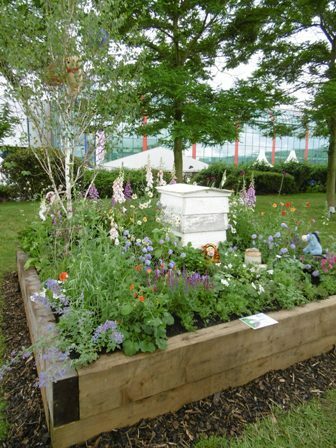 A ticket to BBC Gardeners' World Live also allows access to the neighbouring BBC Good Food Show.